From the time, I started reading tamil stories, Sujatha became an instant hero …. I still adore his writings … have seen him a few times standing from a distance, not having the courage to go near and talk to him, though there were opportunities…. Sujatha (Srirangam Rangarajan) the famous Engineer wrote so many novels and stood out for his advanced thoughts …. Many were awe-struck by story line of ‘Enthiran’ …. But to those who have read his ‘En Iniya Enthira’ and ‘meendum jeeno’ – this was ordinary …. Sujatha kept telling that science fiction need not necessarily be concerned with rockets and space odysseys. Dark subjects like the survival of mankind and how it could fight various issues of today were frequently addressed by him….. There are times when the result is never in doubt but only the manner of execution is…………. – as estimated two billion people around the world saw at London Olympics, Jamaica's Usain Bolt blazed once again, burying down any talks of challenge…… it was another Olympic record though his earlier Word Record remained unscathed. Usain Bolt is a champion in his own right. Jurassic Park released in 1993 directed by Steven Spielberg won many awards ~ it was a science fiction told with horror. It was based on the novel of the same name by Michael Crichton… and getting to know about Dinosaurs - Velociraptor is a genus of dromaeosaurid theropod dinosaur that lived approximately 75 to 71 million years ago during the later part of the Cretaceous Period. The Korea Advanced Institute of Science and Technology came second in the 2014 Asian University Rankings compiled by Quacquarelli Symonds and the Chosun Ilbo. This is the highest placement ever achieved by a Korean university since the rankings were compiled for the first time in 2009 ~ and the University is in news now…….. Read in their website that the Mechatronics, Systems and Control(MSC) Laboratory was originally founded in 1986 by Professor YoonKeun Kwak. It is the largest and one of the most prestigious labs in KAIST and shows its long history by having produced over 100 M.S. and Ph. D.'s. 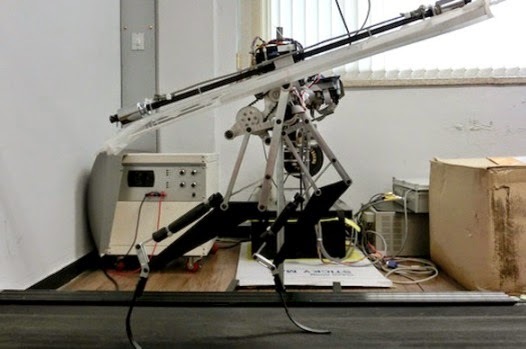 It is in news for the robot Raptor developed by a team from KAIST, can outrun Olympic runner Usain Bolt. Right now, the Raptor is only capable of running on a treadmill; but, imagine it running you down, one day when the robots rule the Earth. Reports state that robot Raptor was inspired by the velociraptor dinosaurs that have been theorized to be intelligent and ruthless killers, which hunted their prey in packs. The Raptor the team of Koreans created isn’t quite as fast as the robot, Cheetah, developed by researchers at Boston Dynamics, but it can run at close to the same speed, on two legs rather than four. The robot Raptor is able to run on a treadmill. According to CNET, the Raptor can run at 46 kilometers per hour (kph), or 28 miles per hour (mph). 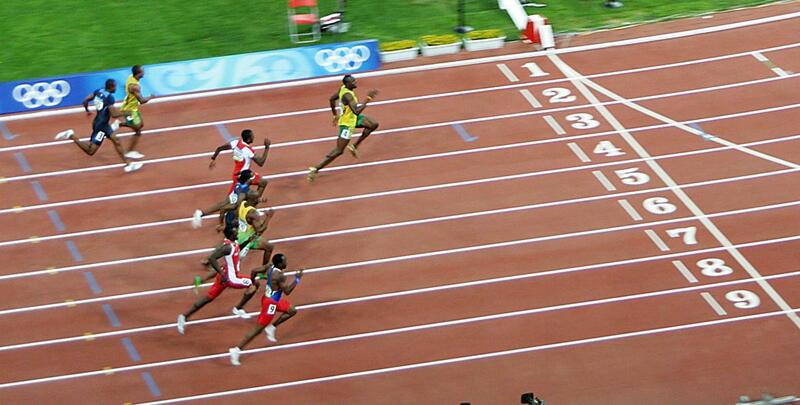 Olympic sprinter Usain Bolt, the fastest known human alive, has a top speed of 44.7kph (27.44 mph). The Cheetah is even faster than both Bolt and the robot Raptor. It is capable of running as fast as 47 kph (29.3 mph). This special robot (don’t imagine Rajni clone Enthiran here – and here is a photo credit KAIST) runs on two legs while Cheetah runs on 4. Raptor runs on legs made out of a lightweight composite material, one motor per leg, and has feet made from carbon-fiber prosthetic blades. Raptor has a tail to help keep its balance. Presently, it runs only on a treadmill but reportedly Korean research team is seeking to stabilize it even further, so that it will be able to traverse any type of terrain, like the Wildcat.